On Wednesday of this week I took pictures of Travis (my friend's son and daughter's teacher). It's amazing how fast children grow. Travis is such a great model. Last year , Travis was a little shorter, but this year he has gotten a little taller. 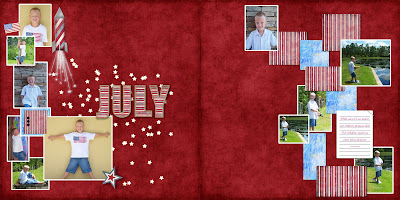 I created this layout as a RAK for Janet (Travis's mom). If you would like to see the photos of took of Travis last year, click here.